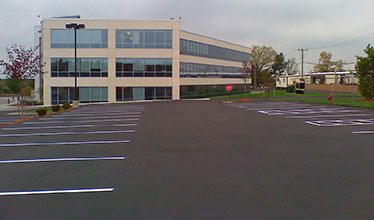 When it comes to making a winning impression on customers, visitors, and prospective tenants, nothing quite compares to the look of freshly placed asphalt. An unblemished paved surface with sharp line markings lets people know you’re focused on quality and professionalism in everything you do. Discover the beauty of professionally installed asphalt firsthand by calling Superior Sealcoat. 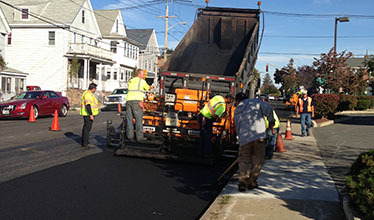 We specialize in new asphalt installation, asphalt replacement, and the reconstruction and resurfacing of existing asphalt roadway and parking lot surfaces. As a Massachusetts paving contractors with over 25 years in the business, we bring extensive experience to every project as well as a tireless commitment to outstanding quality and service. Whether you’re a municipality, commercial property owner, property manager, or land developer, Superior Sealcoat can accommodate your predefined paving specifications or recommend solutions that fit your project budget and timeframe. Our team is knowledgeable about paving products and strategies that provide maximum durability for minimal cost. We understand that “time is money.” Whether your project is an expansive parking lot or small driveway, we coordinate with you to devise a construction schedule that causes the least disruption to your operations. At Superior Sealcoat, we believe no one does it better. Since 1990, our company has built a reputation for excellence among cities and towns, commercial businesses, and general contractors throughout New England. When you hire us, you can expect the job to be done right—on time, the first time. Looking to plan, install, repair, or restore your commercial asphalt surface? Call Superior Sealcoat 978-988-5555 today to receive a fast, free on-site asphalt paving estimate or click to request an estimate online.